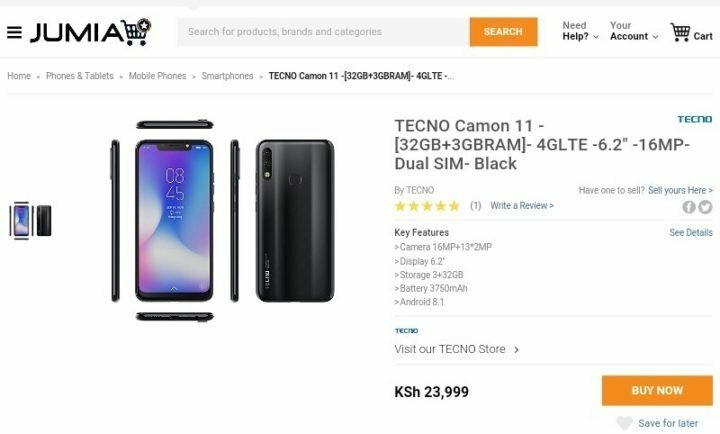 The recently announced Tecno camon 11 and Camon 11 Pro are now available for purchase across Jumia online websites in Africa. The major selling point of both smartphones centers around the display and camera technology. For starters, the Tecno Camon 11 and Camon 11 Pro comes with 6.2-inch HD+ Display, featuring notch cut-out design as seen on Apple iPhone X-series and most recent and trending smartphone. Another major selling point of the Tecno Camon 11 and Camon 11 Pro is it camera prowess. Both smartphone are AI powered, with dual camera setup at the back of each. 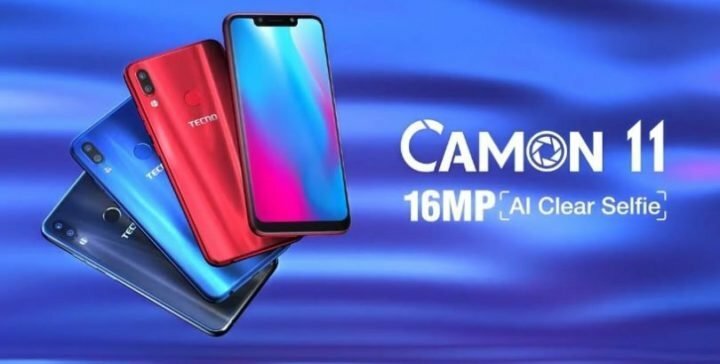 And talking about camera, the Camon 11 Pro has it at, substituting the 16-megapixel front-facing sensor on the Tecno Camon 11, with a higher 24-megapixel front-facing camera sensor. Well, both smartphone are now available across Jumia online market stores, that’s via Jumia Kenya, Jumia Nigeria, Jumia Ghana, Jumia Uganda, Jumia Cameron and etc. We’ve written extensively on the two new Tecno smartphone, and if you want your purchase decisions to be properly guided, you can quickly glance through our detailed overview and comparison of the Tecno Camon 11 and Camon 11 Pro. You can also read our article on the five best and affordable alternatives to the Tecno Camon 11 and Camon 11 here. To buy Tecno Camon 11 and Camon 11 Pro on Jumia Nigeria, Jumia Kenya, Jumia Ghana, Jumia Uganda or Slot, us the link below according to your country.